It has been a common misconception that long-term or frequent travels are expensive. But guess what? It’s actually not that expensive if you just plan it right. 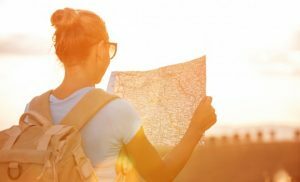 Everything lies on the approach – how you budget your frequent or long-term trips throughout the year is different from planning a week or a few days of vacation. 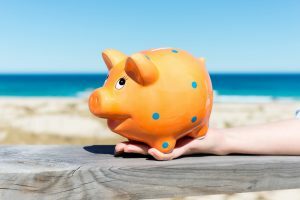 To help you, we’ve listed down some tips on how you can go on frequent or long-term travels without breaking the bank. Being able to travel on budget is all about learning how to set goals and keeping your eyes on the prize. 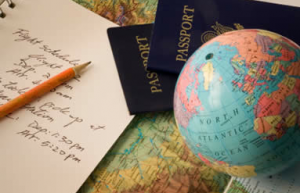 So start planning your trip by listing down all the places you want to visit, and rank them in terms cost, distance, or feasibility. Use this list as your guide to keep you from impulsively booking trips that so happens to be more convenient for you. As much as possible, avoid wasting your time and money on trips that are only meant to fill in your weekends. We know that you want to see the world, but we’re sure that you don’t want to go broke as well. So consider setting aside a certain percentage of your income for travel, and remember to always plan trips within the budget you created. Staying updated of seat sales are the best way to book cheap flights. Do this by following your top airlines on social media or by visiting their pages regularly. Signing up for their newsletters is also a good idea, if you tend to check your mails more than their Twitter and Facebook accounts. Most airlines tend to have themed seat sales during special occasions or holidays, so take advantage of these. Follow your favourite travel blogs to get some insider information on dream destinations. If you haven’t done it yet, consider searching links of reviews about your destination on Google. Searching for hashtags of the place you’ll be visiting on Instagram is another way to check out the sights, food, and experiences that the place has to offer. It’s important to save every penny that you can, but you should also allow yourself to splurge on little things such as souvenirs. It won’t be a perfect vacation if you encounter too much hassle just to stay within your estimated budget. By making little sacrifices, travelling your dream destinations can be possible. So go ahead, and enjoy the beautiful sceneries, the new experiences, and the exciting adventures as you travel on budget.